Vice President Mike Pence on Thursday called the action "an affirmation of the president's decision to ask General Flynn to resign. WASHINGTON: US President Donald Trump was not aware that his former national security adviser Michael Flynn had worked to further the interests of the government of Turkey before appointing him, the White House has said. 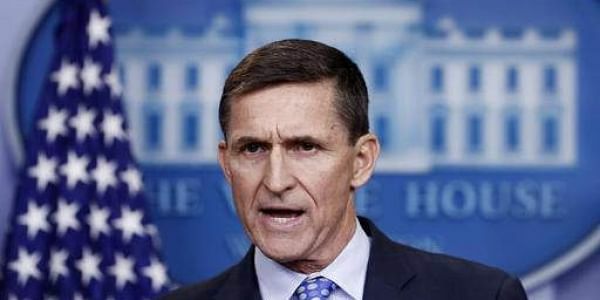 The comments came two days after Flynn and his firm, Flynn Intel Group Inc, filed paperwork with the Justice Department formally identifying him as a foreign agent and acknowledging that his work for a company owned by a Turkish businessman could have aided Turkey's government. Vice President Mike Pence on Thursday called the action "an affirmation of the president's decision to ask General Flynn to resign", Time reported on Friday. Pence said that he also did not know about Flynn's paid work. "I don't believe that that was known," White House Press Secretary Sean Spicer was quoted as saying. Flynn and his company filed the registration paperwork describing $530,000 worth of lobbying before Election Day on behalf of Inovo BV, a Dutch-based company owned by Turkish businessman Ekim Alptekin.